Christmas is coming in about 5 weeks, as I write this. 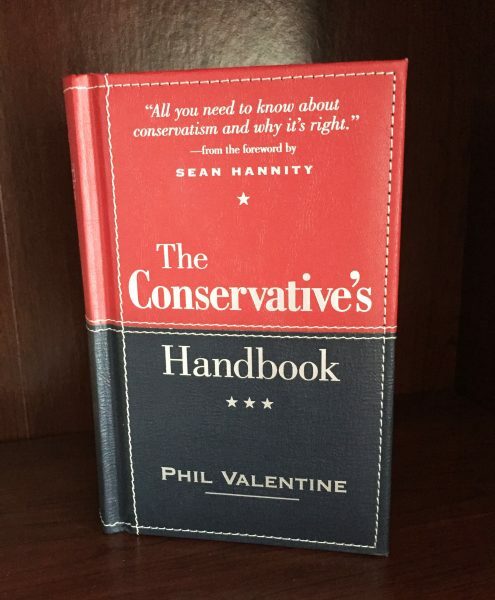 Have you given any thought to what you are going to buy for the other conservatives on your list? DC Clothesline is proud to announce a new partnership with Keep and Bear. 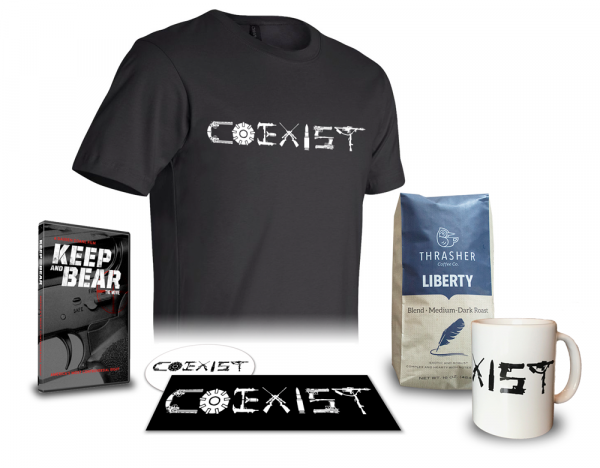 As part of our expansion we now have our own conservative store (courtesy of the Keep and Bear label). You can access it any time by clicking “STORE” on the top navigation menu at our site. Before I show you a few of the items (there are many, many more) let me remind you that we also started our own social network a few weeks ago. 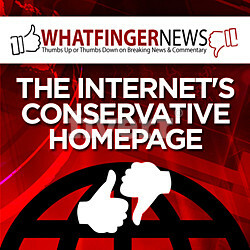 A lot of our readers are looking for a new social media home but have yet to join us. You can visit and join The Deplorables Network here. So how about a few affordable, last-minute Christmas ideas for the conservatives on your list? 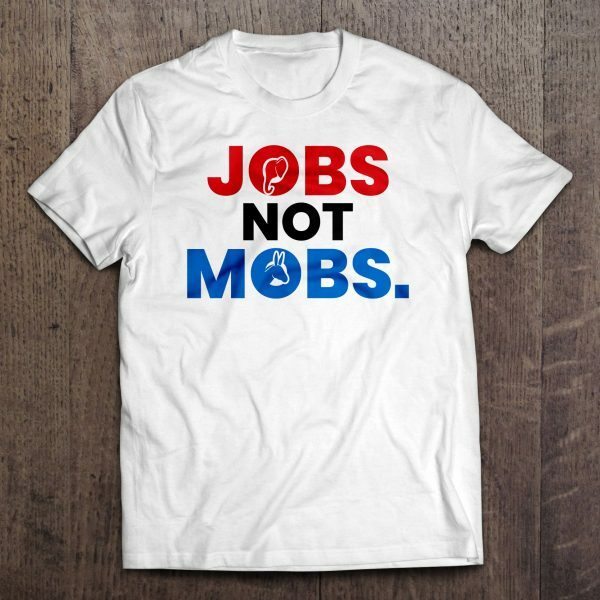 President Trump recently tweeted a picture of a guy wearing a shirt that sums up American politics with three simple yet profound words: JOBS NOT MOBS. 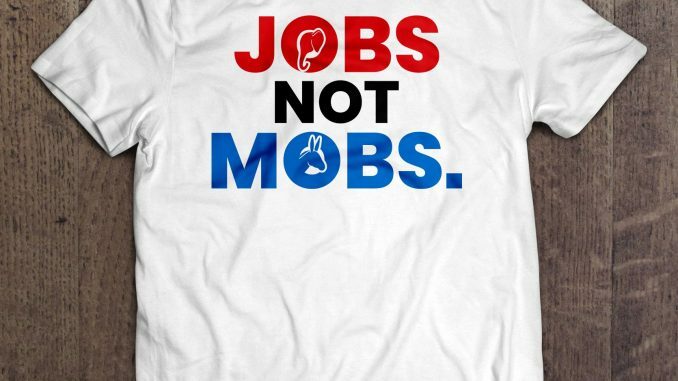 This witty, Trump-endorsed phrase is now available on an American-made t-shirt! Prices start at $16.95. Revenge never tasted so good. 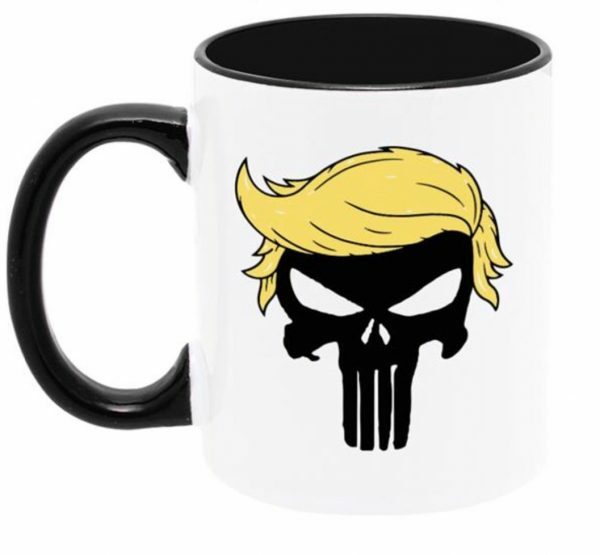 Try a cup of #45 BLEND coffee in the all new Punisher Trump mug. The Clinton Crime Family. Croneyism. Taxes. Unemployment. Democrat Collusion with Russia. Fake News. Voter Fraud. What do all of these have in common? They are all being exposed, punished and eliminated by President Trump and his administration. Punisher Trump is not afraid of confrontation and he takes no prisoners. Punisher Trump is taking on all of these villains in his quest to Make America Great Again. This mug says it best! 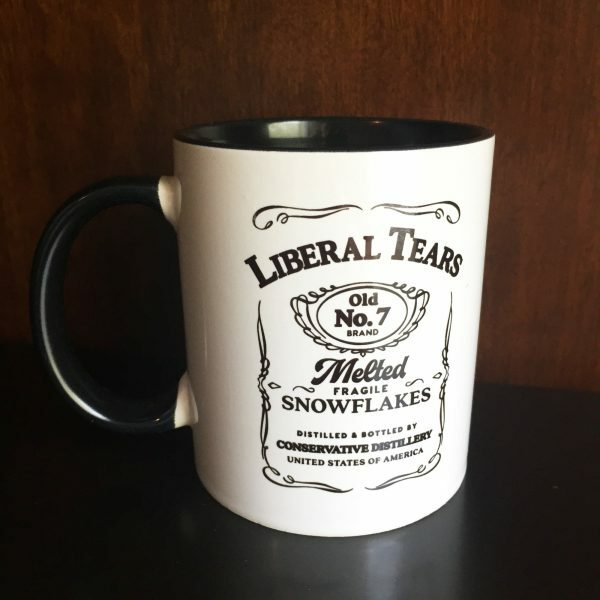 Drink your cup of #45 Blend Coffee and imagine it’s melted fragile snowflakes. Liberals love to whine and cry about other people. The truth is, however, they simply want to spend OUR money and not their own. They don’t care about other people as much as they care about telling conservatives how to live their lives and spend their hard-earned cash. This unbelievable gift pack comes with five of our best-selling American-made products for only $39.95 and FREE Shipping! The retail value of these products is $65! All of these products are made right here in America. Ahhhh. 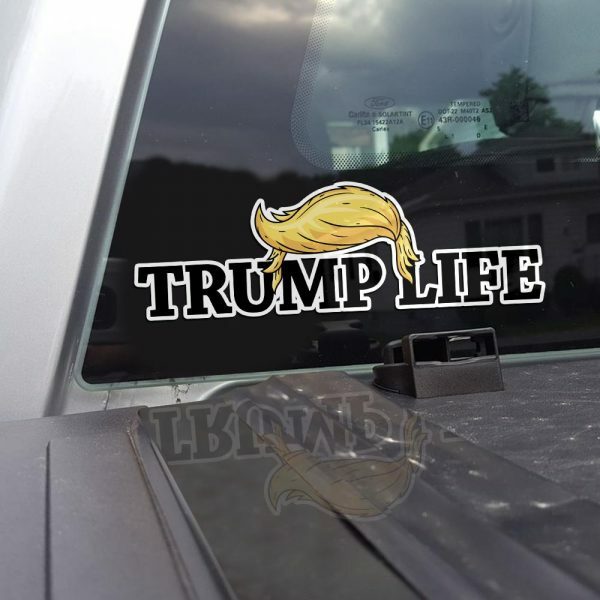 Life is good with President Trump in the Oval Office. The stock market is up. Unemployment and Taxes are down. North Korea is denuclearizing. Radical Islam has been neutered. And the best part? Liberals are going out of their minds with Trump Derangement Syndrome. Did you see anything you might like? If not, no worries because there is lots more. I just wanted to showcase a few random items to whet your appetite. Come visit the Keep and Bear online store to see much more. Your last minute Christmas shopping doesn’t have to be hard OR EXPENSIVE this year. Please remember you can find the store year round by clicking “STORE” from the top navigation bar on our website. PSSSST… Hey would you like to make a little extra money? Any purchase you make at Keep and Bear will pay 15% to the referrer. You can represent them too and make some good extra cash. Keep and Bear actually pays daily (through PayPal) if you meet the minimum payout threshold ($100). You could be receiving your first commissions before Christmas. It’s free to sign up. Just hop on over here and get started.